That’s where the patent-pending BPM-D® Framework helps. It allows you to have a fast but holistic look at your existing BPM capabilities, shows where you have gaps and supports the identification of a way to fill those gaps while resolving current business issues, hence delivering value immediately. This sounds like a classical BPM maturity assessment. Nothing new? There are lots of assessments available: Michael Hammer had developed a nice framework, Queensland University has one, The Gartner Group developed one – and many more. So, what’s different with BPM-D®? From the outset, it treats BPM as a holistic business process in its own right – as a management discipline. The BPM-D® Framework describes the “Process of Process Management” from different points of view and uses those information models to assemble the necessary approaches, methods and tools delivering best value to suite the specific business situation of an organization. Hence, the BPM-D® based maturity assessment is a multi-dimensional dynamic approach that helps building your BPM capabilities in a value-driven and pragmatic way. It segments BPM sub-processes into project and assets related processes as well as into planning and execution related processes. This helps finding the right balance between planning and executing between building assets and launching improvement projects. The evaluation of the maturity of the BPM processes themselves is combined with an analysis of the necessary information, the organizational framework as well as the value-framework that keeps BPM value and outcome driven. This unique assessment approach helps align your efforts – independently of the stage you are at in your BPM journey. It has been used by organizations, that have a well established process improvement function in place already, to drive better harmonization and responsiveness. Other companies have used it to start their BPM journey. In our Executive Training sessions in Philadelphia in February and in London in March, we will discuss the BPM-D® framework more in detail. You will have the opportunity to experience a high level assessment live. If you are interested, register on our web page. https://bpm-d.com/executive-workshop-introduction/. The Philadelphia session is almost sold out, so you may want to act quickly. But before that, please leave us comments, thoughts and questions here in this blog. 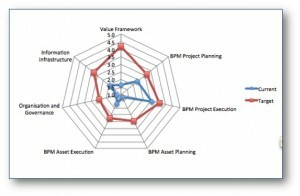 I have seen this innovative, yet pragmatic, assessment tool work well in companies across the BPM maturity spectrum. A great way to stand back from the daily grind and refocus Process efforts.